In his North London studio John Brown creates his contemporary sculptures based on the human figure, simplified and abstracted, and expressing emotions and relationships. There are sculptures in stone, usually a limestone or sandstone, and limited editions in traditional foundry cast materials such as bronze or in cast resin metals, such as bronze, aluminium and iron. These limited edition sculptures are usually restricted to just 12 per edition. If you would prefer to commission a sculpture, working directly with John Brown gives him the opportunity to create a unique work of art for your special occasion, such as a birthday or anniversary. Or he can produce an eye-catching focal point for your garden or in your home. 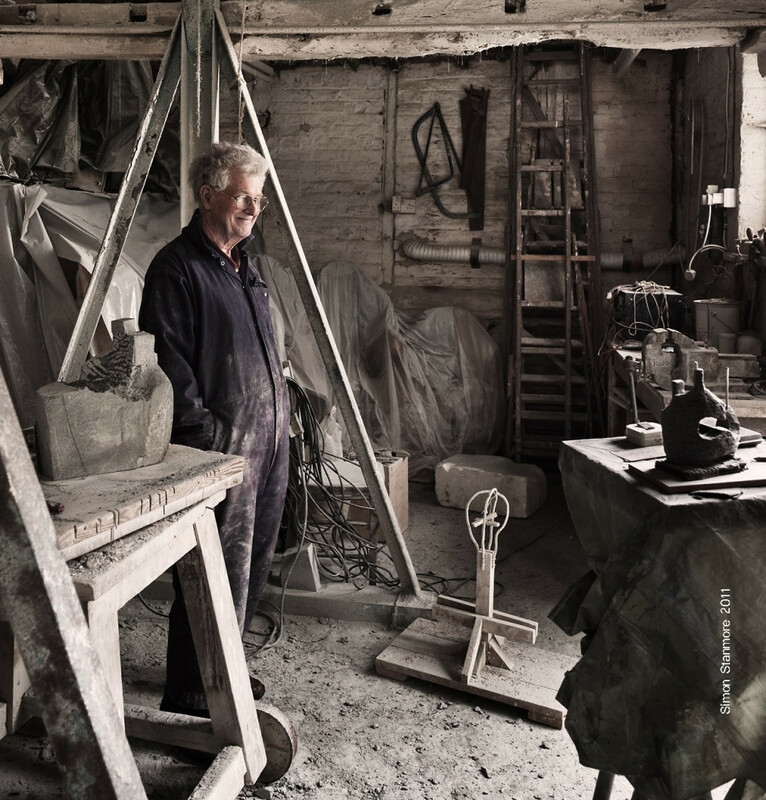 John Brown has a large selection of other sculptural works available for sale in his studio gallery and garden which can be viewed and purchased by appointment.